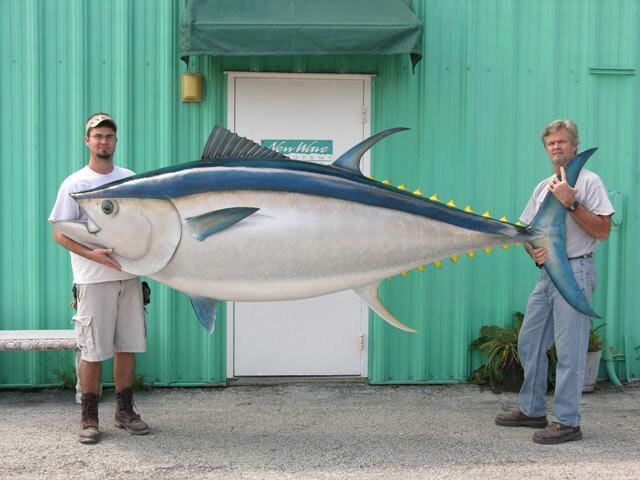 The Atlantic bluefin tuna (Thunnus thynnus) is a species of tuna in the family Scombridae. 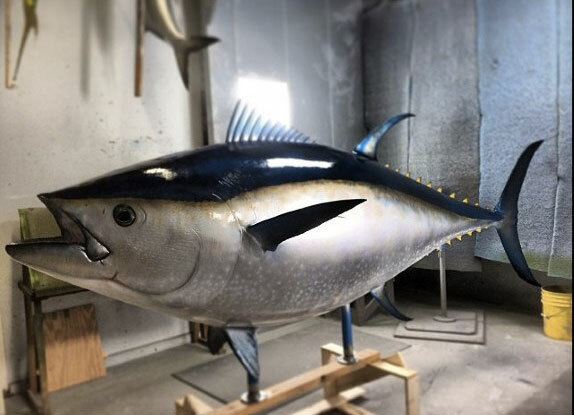 It is variously known as the northern bluefin tuna (mainly when including Pacific bluefin as a subspecies), giant bluefin tuna (for individuals exceeding 330 lb) and formerly as the tunny. 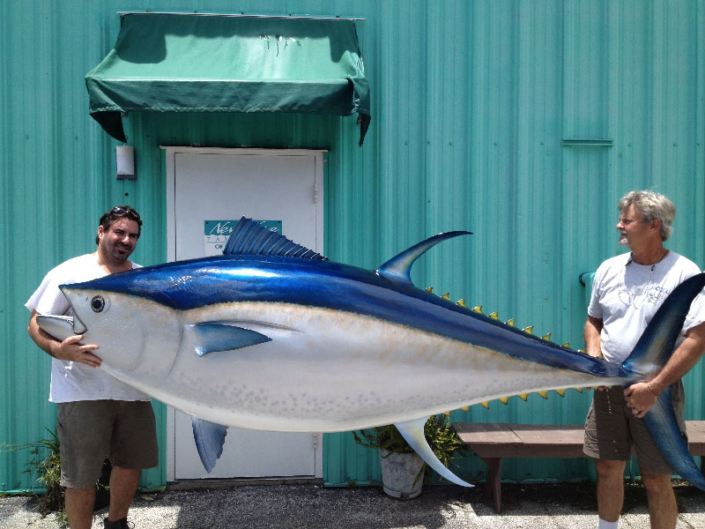 Atlantic bluefin are native to both the western and eastern Atlantic Ocean, as well as the Mediterranean Sea. 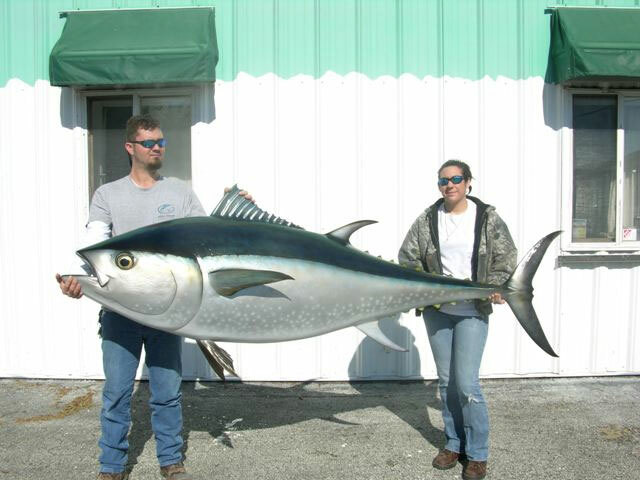 Atlantic bluefin have become extinct in the Black Sea. 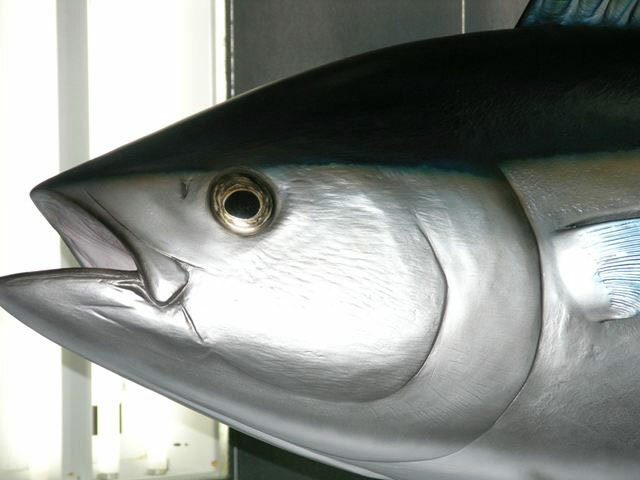 The Atlantic bluefin tuna is a close relative of the other two bluefin tuna species—the Pacific bluefin tuna and the southern bluefin tuna.